Weather in Vietnam for the first two days of my stay was gloomy with drizzles at times. On my last day in Ho Chi Minh City, the sun emerged and compensated its absence for the past days. With its interesting history, I had a long list of key destinations to visit. 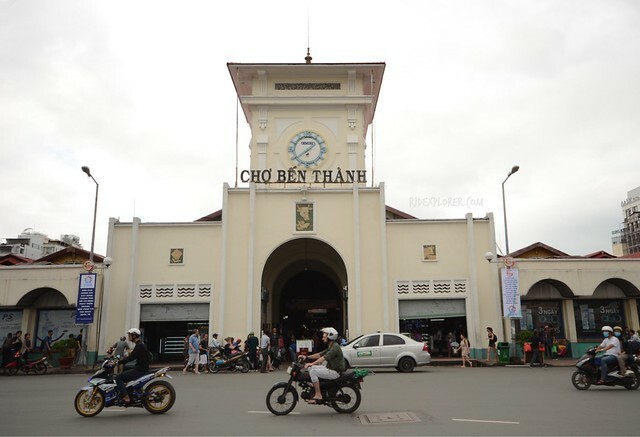 After a cup of free Vietnamese coffee offered by a traveler at the hostel, I headed to the busy streets for my do-it-yourself Saigon city tour. I marked Bin Thay Market on my Google map yet I was clueless how to commute to the destination. Cho Lon is probably the nearest bus station so I tried to spot buses bearing the route. While waiting on the road side, a local approached me and asked for some directions. I politely answered that I’m a tourist. The right bus came, forgot the number and complete route, and immediately boarded and paid the fee, like a local. 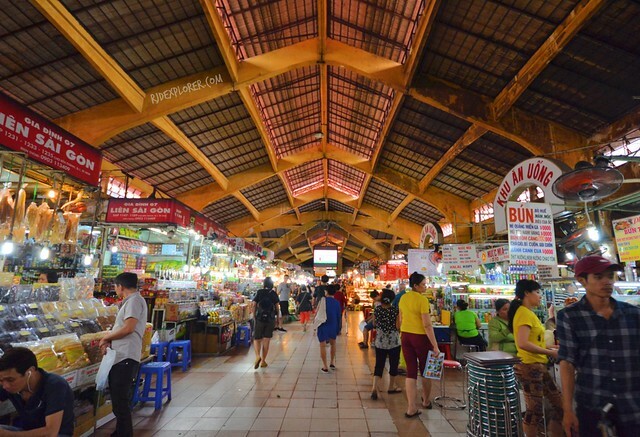 The market is a 5-minute walk from Cho Lon Bus Station. Streets leading to the market were a bit crowded as locals visit Binh Tay Market for bargains. 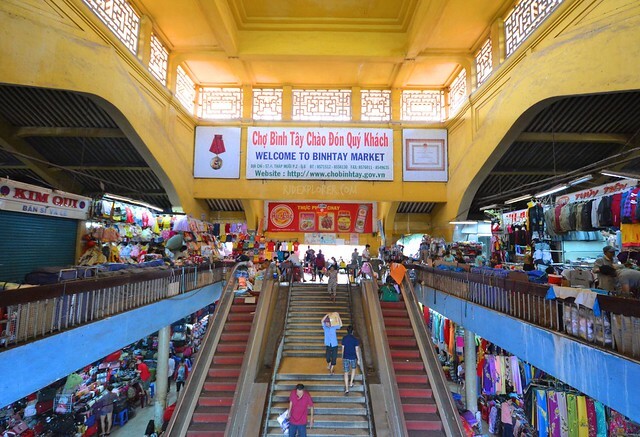 Unlike in Ben Thanh where sellers are pushy, vendors in Binh Tay don’t mind tourists roaming around the mart. This will give everyone an authentic market encounter experience. It has 2 floors with most of the stalls inside the building are selling garments. On the sides of the lower ground are booths selling colorful beans, natural candies, and other dried items. 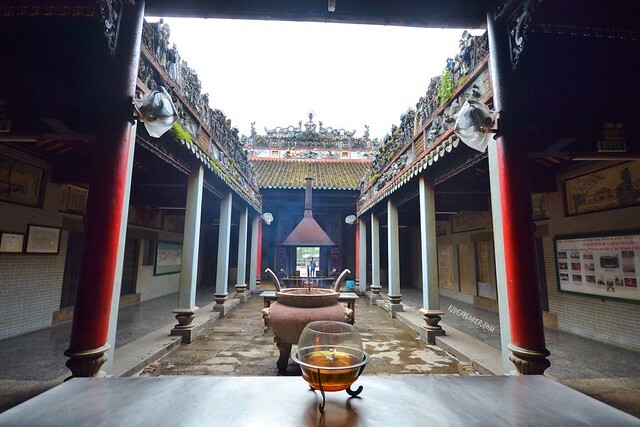 The Chinese-style temple, few blocks from Binh Tay Market, is just along the road and hard-to-miss. 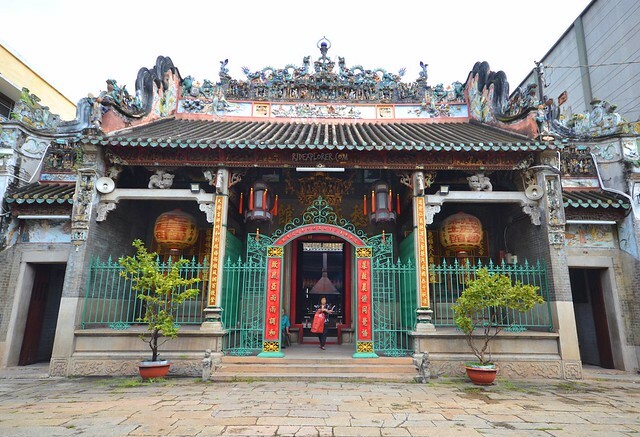 Thien Hau Temple, also known as Ba Thien Hau Pagoda, is a temple of the Chinese sea goddess Mazu. The green fence before the main entrance of the temple saturates the rugged and faded exteriors. Guests are allowed to enter the prayer halls just be sure to respect the worshippers and the religion. The interior has an atrium where the open area has a large incense burner. Details of the upper parts of the temple are more visible from the inside. 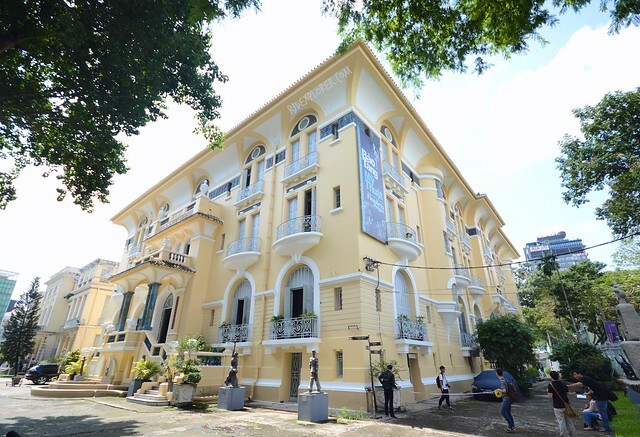 Adjacent to Ben Thanh bus station is the compound for the Ho Chi Minh City Museum of Fine Arts. The museum is considered as one the largest fine art centers in the entire country. There are three buildings but I didn’t bother entering one because an hour is not enough to explore the place. 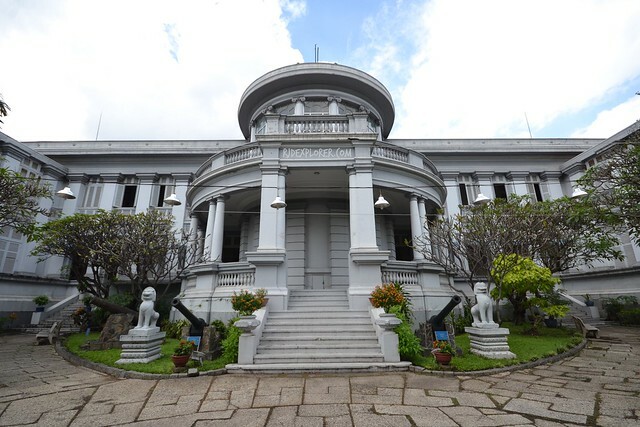 The museum focuses on collections that are related to Vietnamese arts and culture, paintings and sculptures as well as historic arts, and also contemporary arts. Not accessing the galleries, I just marveled at the startling French colonial design of the buildings. Entrance fee is 10,000VND (0.5USD) if you intend to see the galleries. If Singapore has Marina Bay Sands, and Petronas Tower for Malaysia, Vietnam has Bitexco Financial Tower. The 68-storey building made to CNN’s 25 Great Skyscraper Icon of Construction in 2015. 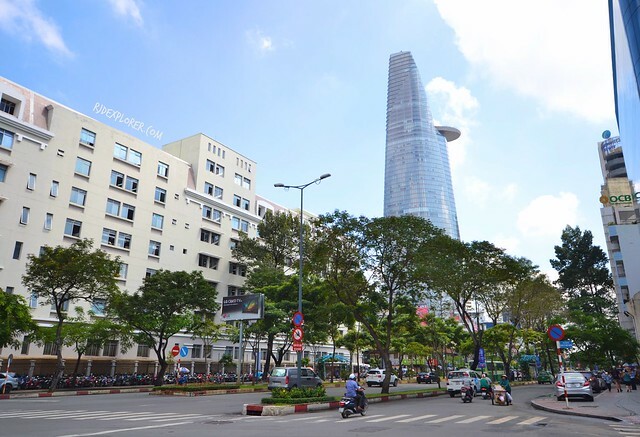 The 861-ft-high skyscraper in Ho Chi Minh City is also the home of the Saigon Skydeck on the 49th floor. For 200,000VND (or 9USD), one can have a sweeping panoramic view of Saigon. If 9$ is too much, the upper floors, 50 – 52, have diners and cafes where you can also enjoy the view just by availing even the cheapest coffee. 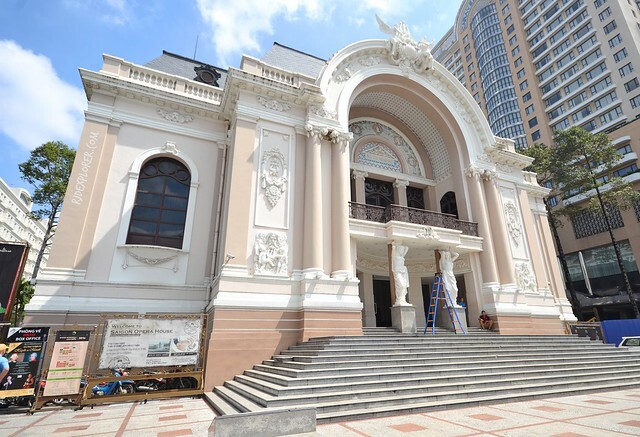 Another structure having a French colonial architecture is the municipal theater, or famous for Saigon Opera House. During my visit, the maintenance is doing something on the building’s façade (hence the ladder on the photo). I tried to go inside but the people manning the theater informed me it was closed. 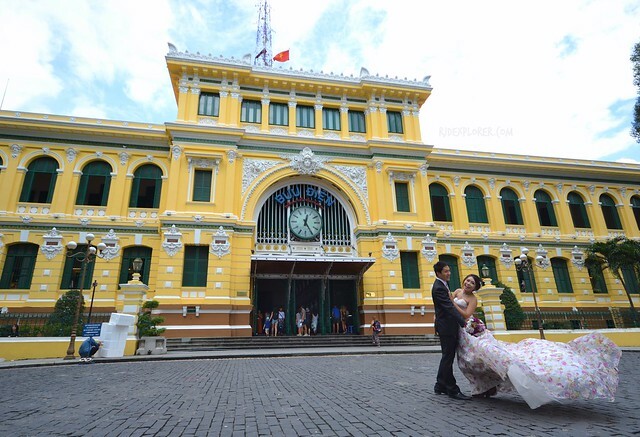 Saigon Opera House is the official venue of AO Show, a show that depicts Vietnamese life in the most authentic form. 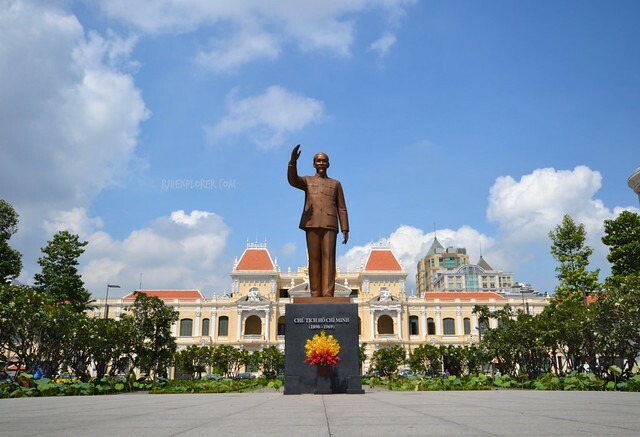 If you’re wondering why Saigon was renamed, then visit the statue of Ho Chi Minh right in front of the city hall to know why. He was a communist revolutionary leader who was prime minister (1945–55) and president (1945–69) of the Democratic Republic of Vietnam (North Vietnam). He was a key figure in the foundation of the Democratic Republic of Vietnam in 1945, as well as the People’s Army of Vietnam (PAVN) and the Việt Cộng (NLF or VC) during the Vietnam War. On the other side of the road is the city hall flaunting its very impressive and elegant façade. The famous structure, modeled after Paris’ Hotel de Ville, started its construction in 1902 with a French colonial style. It was so gorgeous during daytime but I heard the lighting on the building make it more stunning in the evening. Entrance to the museum is 15,000VND (0.66USD) but requires an additional 5,000VND if you plan to take photos. I just took the regular one and did take photos using my phone. The museum stores some significant photos, maps, and other stuff related to the Vietnam War and other eras of the country. Apart from that, you can check some halls with normal exhibits and poor-lighted galleries. Anyways, a great hub in getting to know Saigon, and Vietnam, a little deeper. Twenty minutes is enough to explore the entire museum. 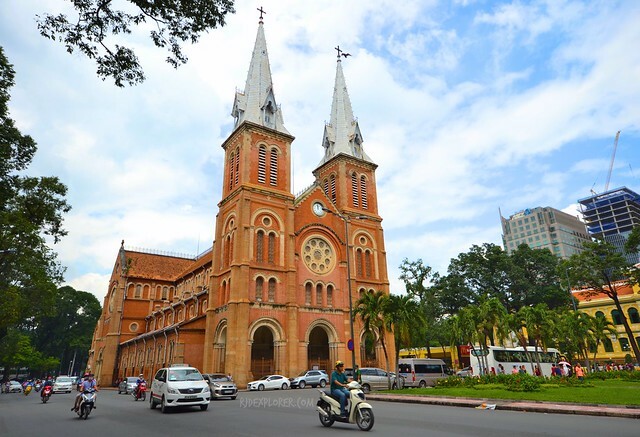 The famous landmarks in Ho Chi Minh City that tourists can’t resist for photo opportunities are probably the Notre Dame Cathedral and the nearby Saigon Post Office. 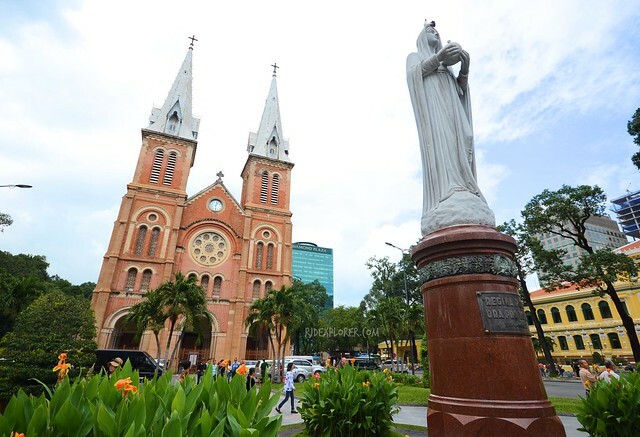 The cathedral also called as the Cathedral Basilica of Our Lady of Immaculate Concepcion, still has a French colonial architecture because it was built between 1863 and 1880. The red-bricked cathedral has two spires that are also bell towers. I wasn’t able to enter the cathedral because it was closed during my city tour. 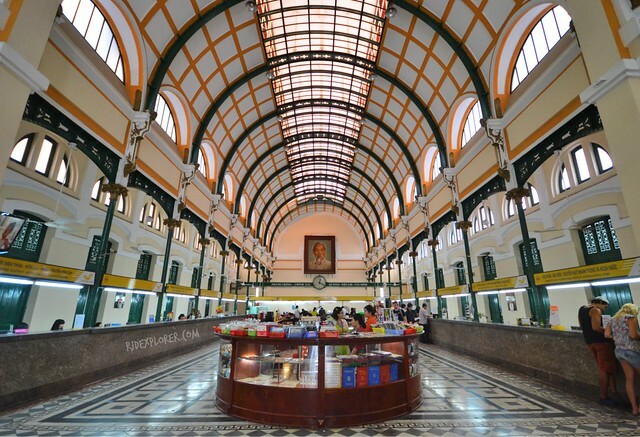 On the next block is the Saigon Post Office, built in 1886 and credited as work of known French civil engineer and architect Gustave Eiffel. 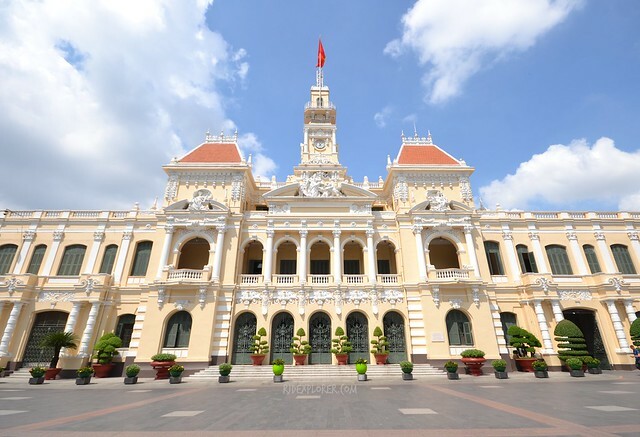 The light yellow building houses the Saigon Central Post Office. There are several booths for sending postcards, parcels, etc., and some booths selling souvenirs and handicrafts. On my visit, a Vietnamese couple was having their prenup photo shoot where I joined the camera team. Nothing much to do here apart from post-office related activities. If you plan to take a break from walks, talk to local vendors outside the building. 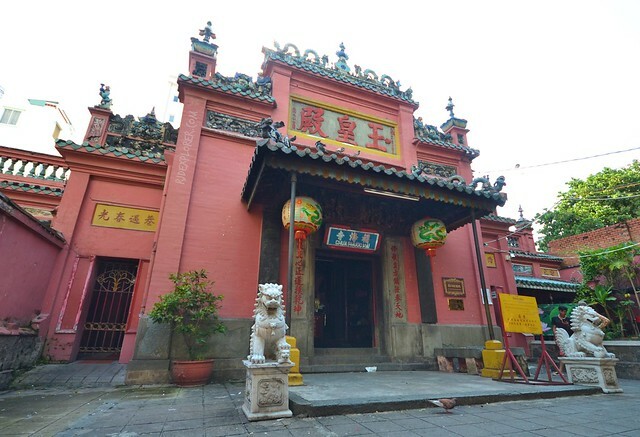 The Taoist temple, also known as Chua Ngoc Hoang or Phuoc Hai Tu, is off the way and a bit far from the cluster of attractions in HCMC. From Saigon Post Office, I had my search for Saigon Lunch Lady for lunch and head to this temple when I knew it was nearby. It was an idle early afternoon when I dropped by the pagoda and few tourists were present. Everyone is welcome to check what’s inside of the prayer halls. There are large statues inside cramped in tiny spaces. Worshippers go here to burn incense that makes the place full of smoke. A pond on the side of the pagoda encloses a lot of turtles! Tao Dan Park was not on my list but I passed by the park when I headed back to Ben Thanh Market from War Remnants Museum. 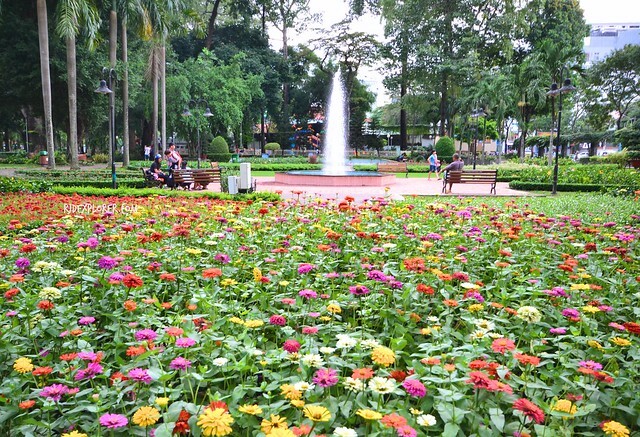 A section of the park has a water fountain surrounded by a bed of flowers of different colors. You can also enjoy walking under the shades of the canopy of towering trees or just observe locals doing their daily jog around the park. The other side of the park has several sculptures to scrutinize. The market is infamous for being chaotic at times, having high-priced products, and pushy vendors. But if you’re not after buying stuff and just interested in checking out the place, the market is still a good one. There are a lot of stuff being sold here mostly souvenir items as the market already became a part of the usual itineraries for guided tours. I only did check the happenings inside the market once, on my first day in the city. For Singapore and Malaysia, it was expected to see the presence of Hindu temples. But for Vietnam, it was a little surprising. 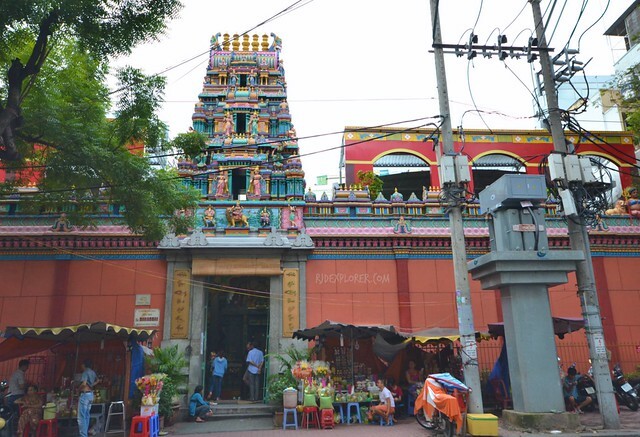 Near Ben Thanh Market is the Mariamman Hindu Temple. Similar to the Hindu temples I’ve seen in Singapore and Malaysia, the temple also has an entrance tower with intricate details of their deities. The interior includes some altar and chapels with admirable painted figures. Hi, did you go to War Remnants Museum?